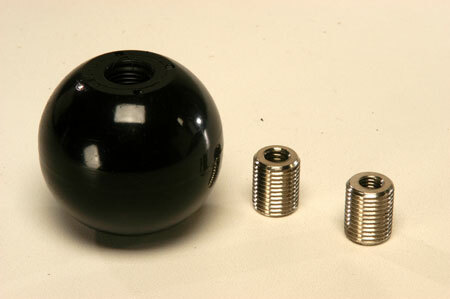 Shifter knob kit. Includes knob and thread adapters. Fits 3/8" - 24, 5/16" - 18, 3/8" - 16, M7 - 1.0, 1/2" - 20.